It’s my daughter’s 9th birthday on Sunday. She is in love with monkeys so I had to put one on her card. 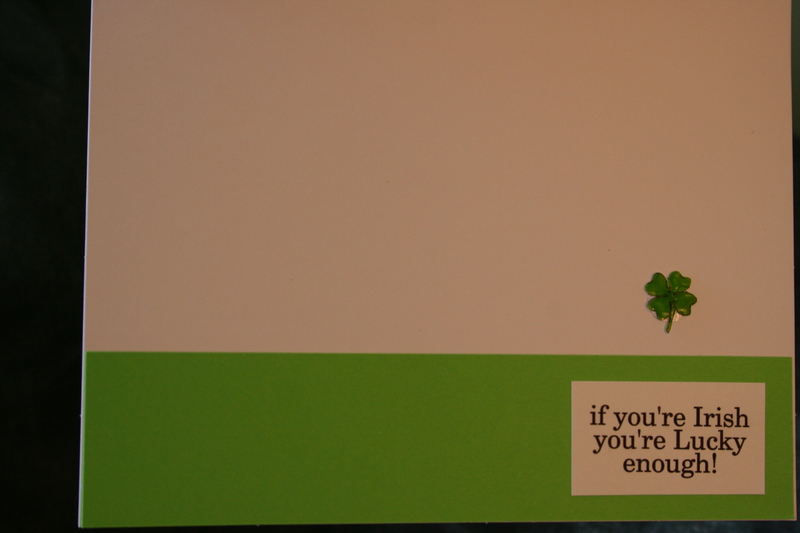 This isn’t exactly how I had envisioned the card because the 3 cartridges I ordered haven’t shown up yet. Oh well. 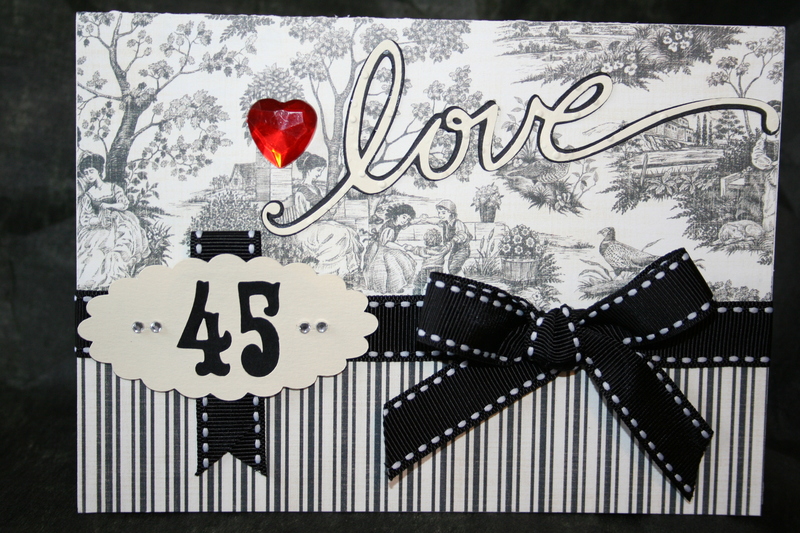 For this card I used the Celebrations cartridge for the cake (cut on shawdow, blackout and layers at 2″), party hat (cut on shadow and blackout at 1.5″) and scalloped oval (cut on backout at 7.5″x 4.5″). The New Arrival cartridge was used for the monkey (shadow and blackout at 3″). 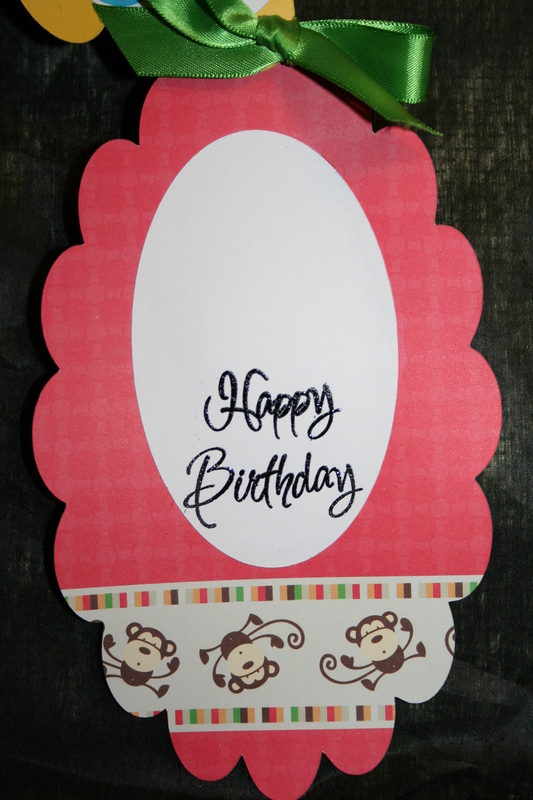 The Plantin Schoolbook was used for the oval (adjusted with cricut design studio to fit inside the scalloped oval), monkey face oval (cut at 1″x 0.5″), number 9 (cut at 3/4″) and “balloon” (cut at 1″). I hand trimmed the monkey’s belly. 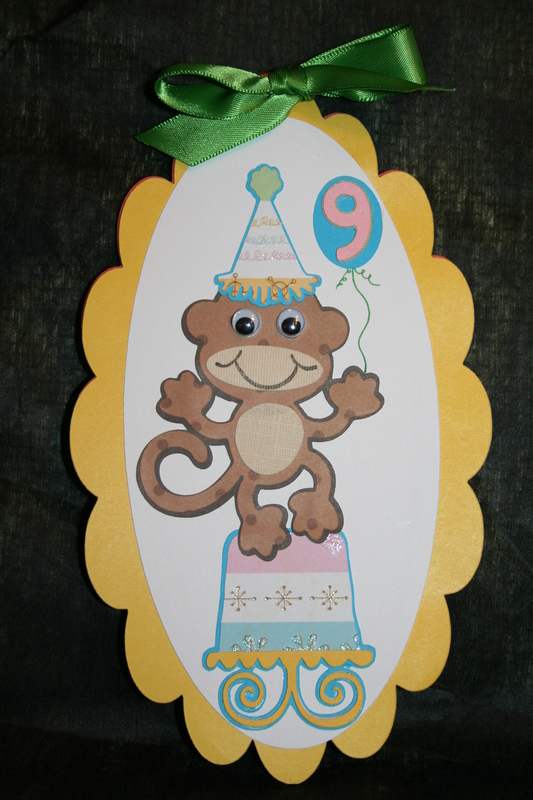 The 9 was placed inside the ballon and I drew a line to the monkey’s hand. The paper for the cake and party hat came from Nana’s Kitchen. 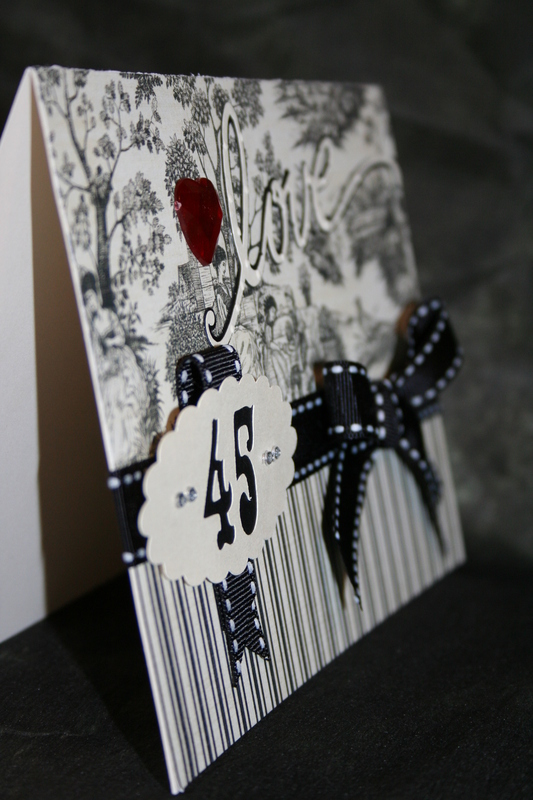 The design was so perfect I didn’t need to embellish! Ki paper was used for the monkey. Peachy Keen face stamps were used for the smile. And googley eyes seemed perfect for this monkey’s personality. DCWV solid color paper was used everywhere else. The same size scallop oval as above was cut using DCWV Animal Crackers Stack. I arranged it on the cutting mat so the monkey border lined up where I wanted. 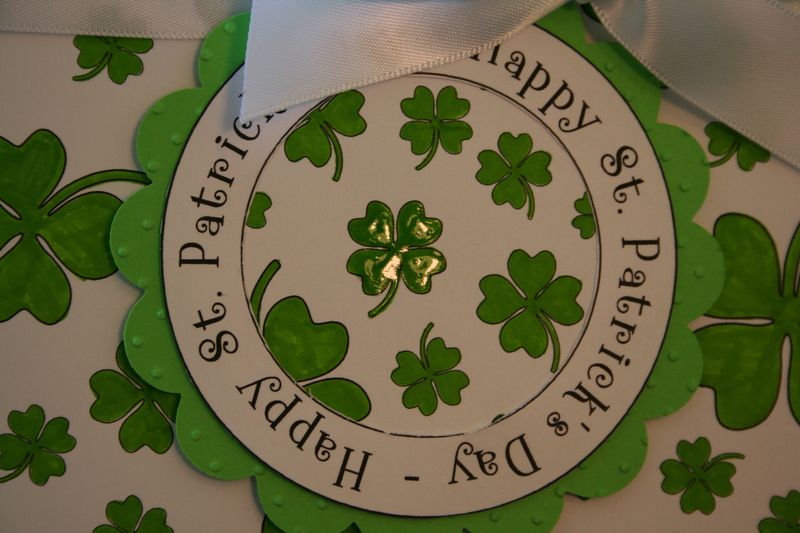 I adjusted the white oval cut once again with Design Studio and embossed a sentiment. After I was done with both pieces they were lined up and I punched a hole in the top. Then used a ribbon to connect them. I think I did much better this time. I am proud to submit this card for the 2 Sketches 4 You and BBTB2 challenge. 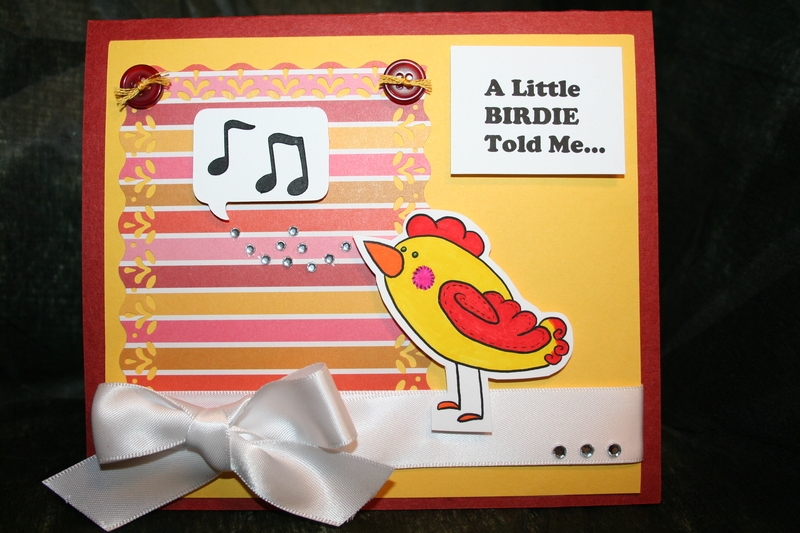 I used the InStyle digital chickie stamp on this card. 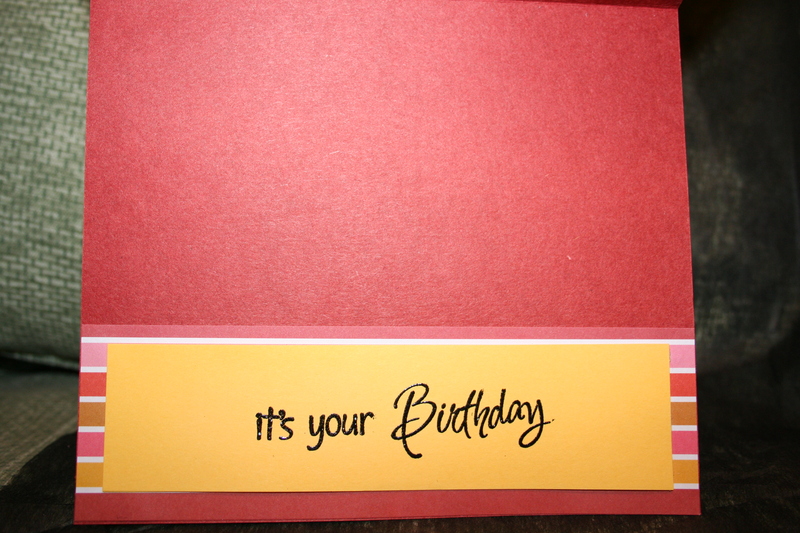 I made a card out of a reddish brown card stock I had on hand. Then found the striped paper in my scrap bin, and paired it with a yellow. 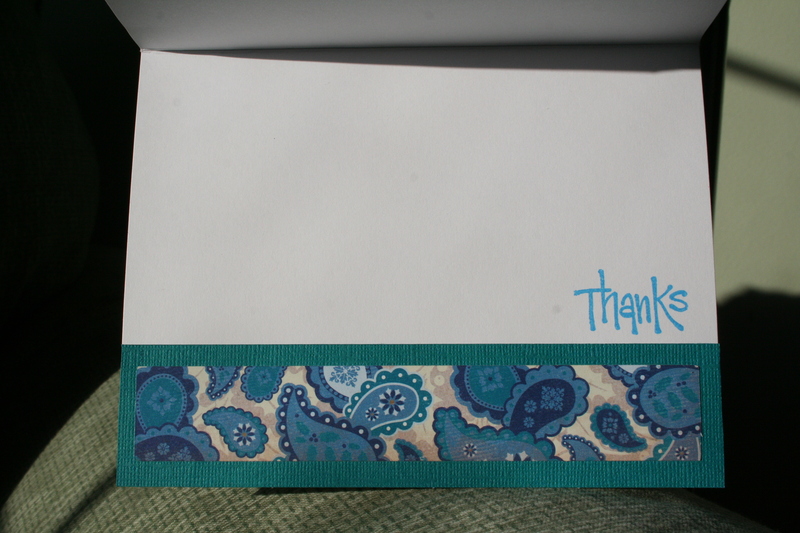 I used the Martha Stewart botanical edge punch on the stripped paper. I used my Plantin Schoolbook cartridge to cut out the bubble holding the music notes. The music notes are from Joy of the Season cartridge. 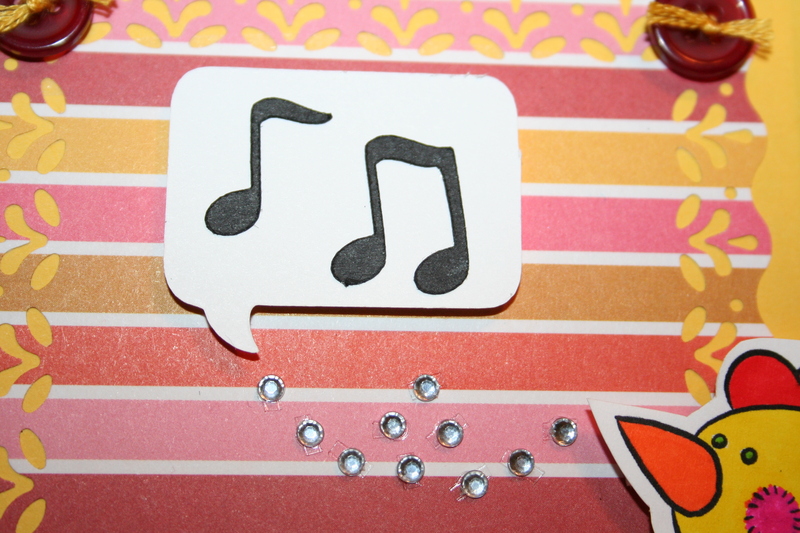 I added some buttons with yellow embossing thread and some small rhinestones to give it a little sparkle. 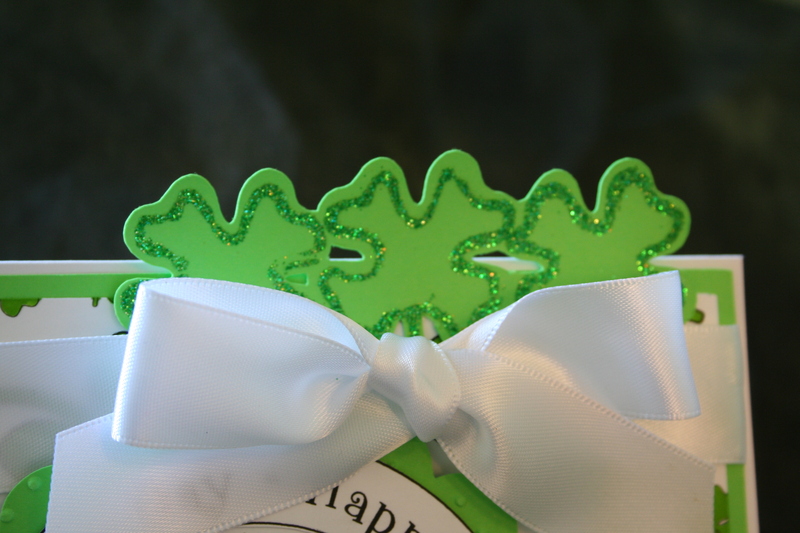 Oh, and of course, a ribbon. 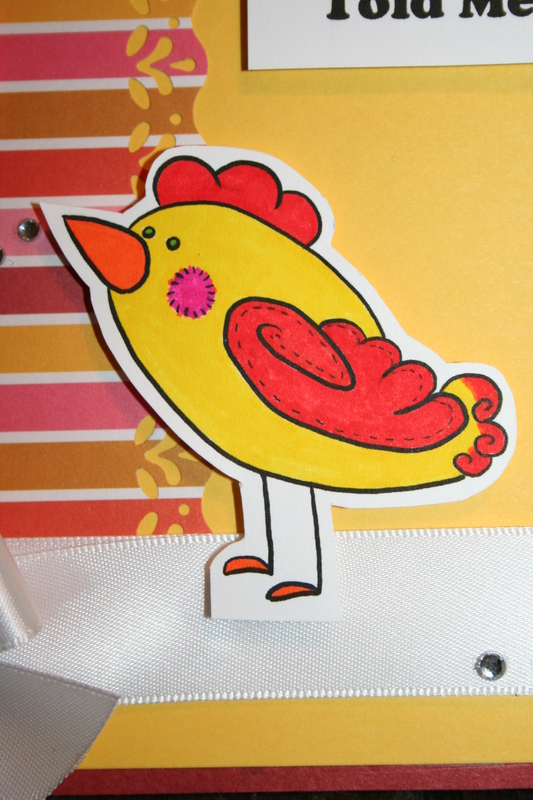 I used pop dots to elevate the chickie, sentiment, and cloud. 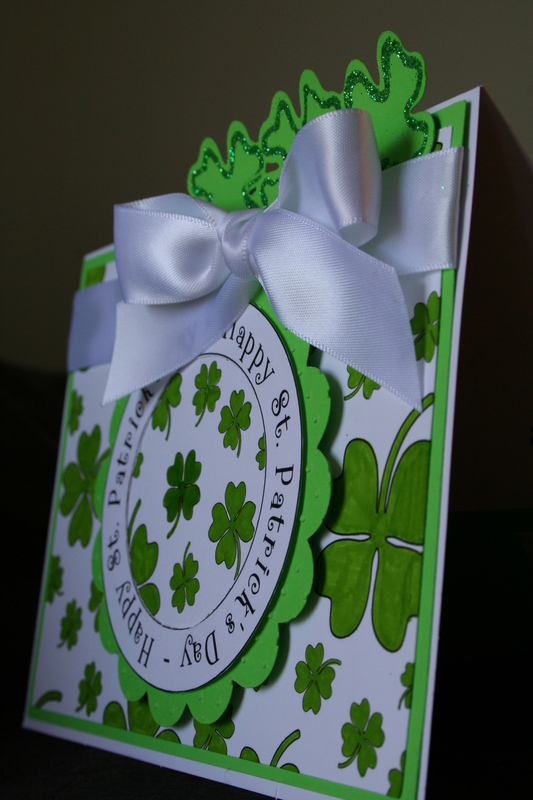 I have been trying to finish off my cards with paying attention to the inside. I layered the paper from the front on the inside, only in reverse. 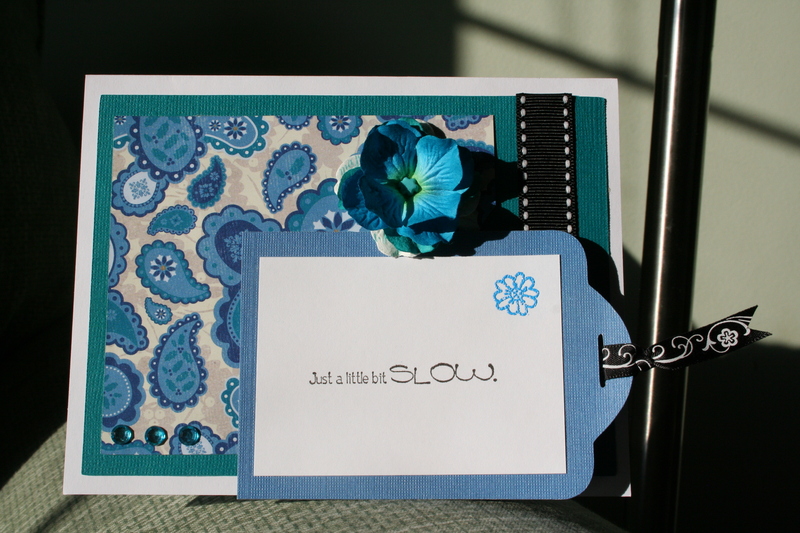 Then stamped and embossed a sentiment. I hope you like it and would love some feedback! I made this as a combination entry into the 2Sketches for You weekly challenge and thank you note for my former boss (I am very late sending this). 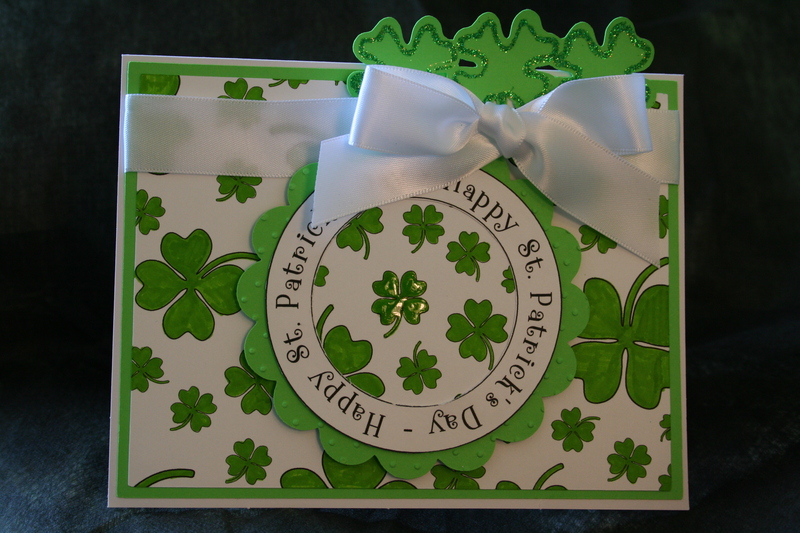 I decided not to enter this card because it was not as nice as the entrants! I will try again tomorrow with something more elaborate and sophisticated. Still new and learning. Sorry I haven’t posted in a while. Our internet service went down and I was unable to access my site. Anyway. Had a marathon evening making valentine’s for school parties and teachers. 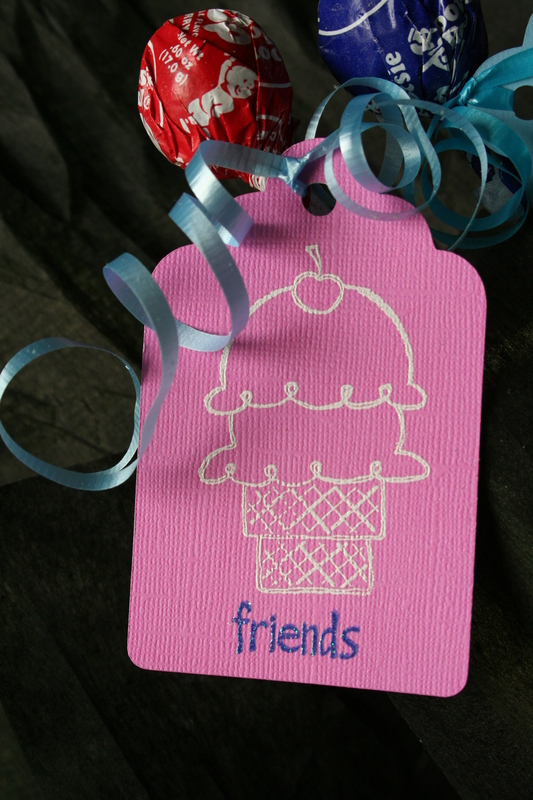 I used the tag feature on the Plantin Schoolbook cartridge, then stamped a heart or ice cream cone on the tags and the “friends” sentiment. Then I tied the tags onto a sucker and presto we were done with 42 childrens cards. I wanted to make a valentines card for my son’s teacher. When I saw the pencil image in the My Community cartridge I thought it was perfect! I cut a white pencil image with the shadow feature, a yellow pencil image, then did 4 cuts in differnt colors with the layers option. 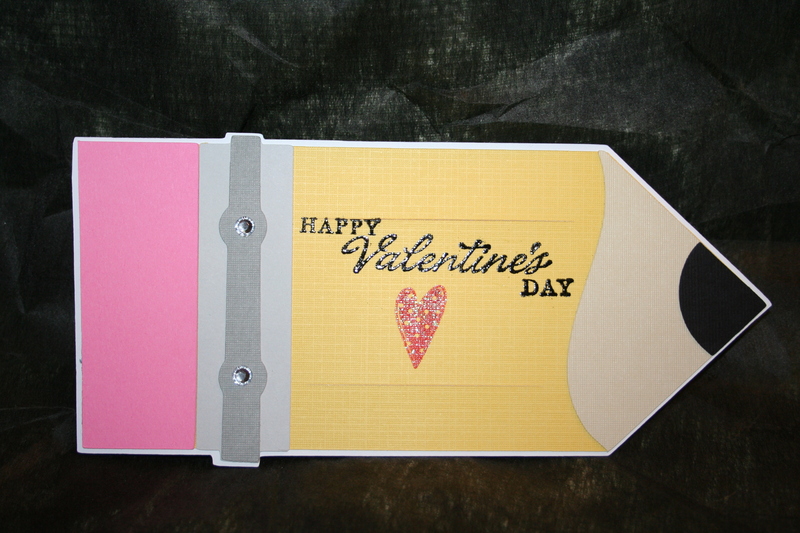 After piecing it all together I used a Hero Arts stamp for Happy Valentine’s Day, and embossed it. 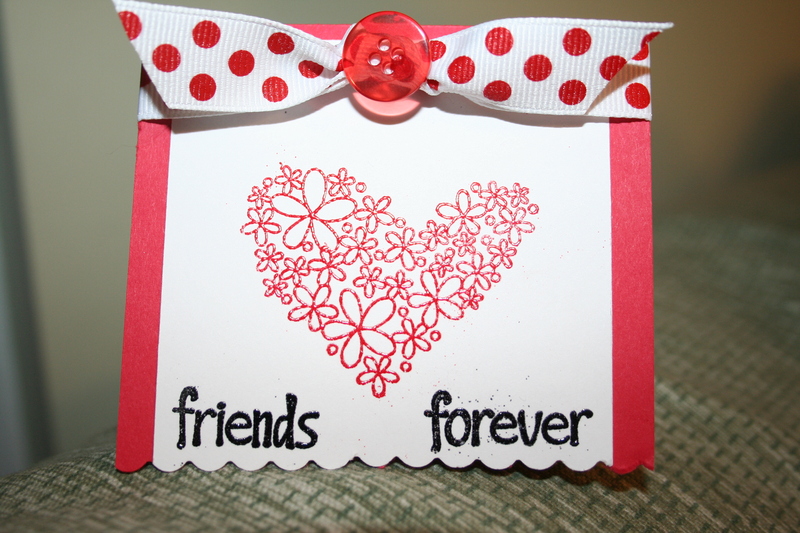 Then I used a Studio G stamp for the heart in red and embossed it with sparkle powder. Finally, I put some bling on it! I made a duplicate for my daughter’s teacher. My son’s teacher has two assistants in the class room and I made them cards, too. 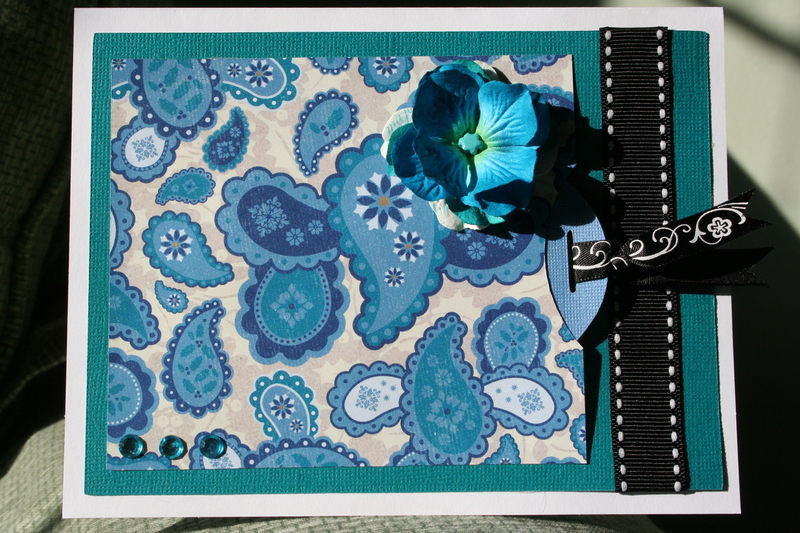 I used the card feature on Plantin Schoolbook, cut at 6.5″ by 3.5″, to make the base card. Then cut out a white square at 3 by 3. 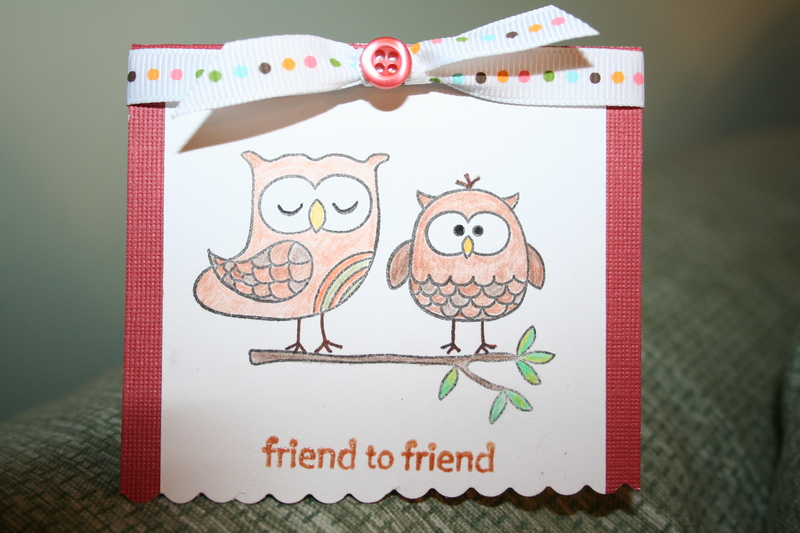 I stamped an owl and branch image then colored them with watercolor pencils. 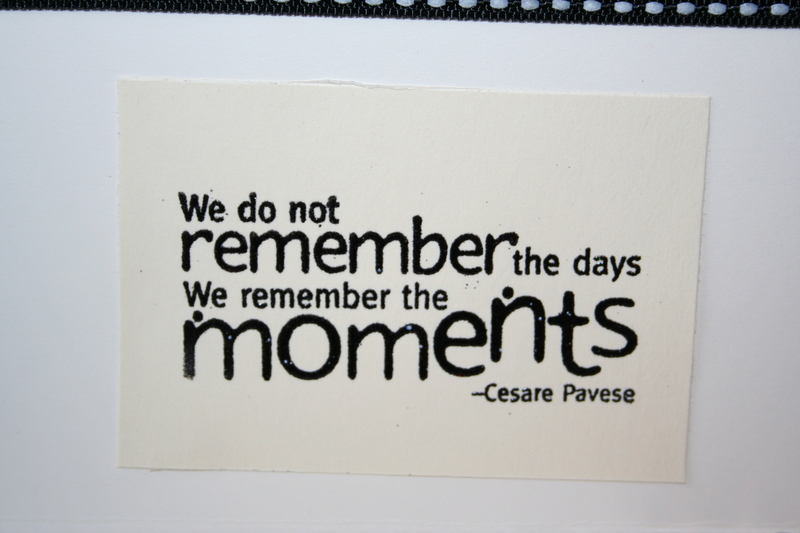 I stamped a sentiment and embossed it. 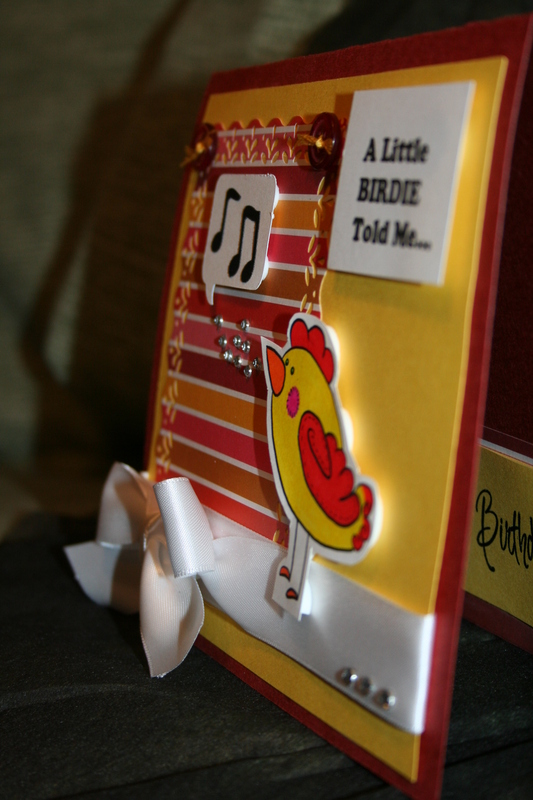 Then tied a ribbon around the card, placed a button on the knot and used scalloped scissors along the bottom edge. I did this one with same cuts as above. 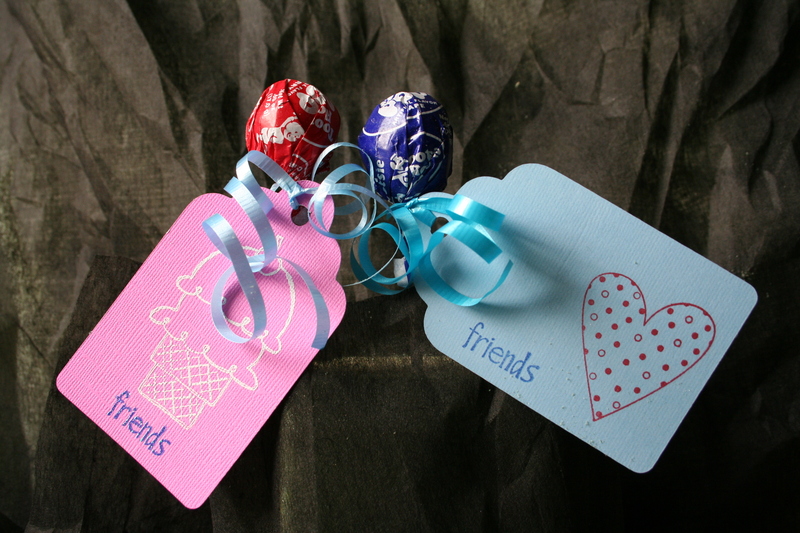 I used a Hero Arts heart stamp that was embossed using Martha Stewart embossing powder. 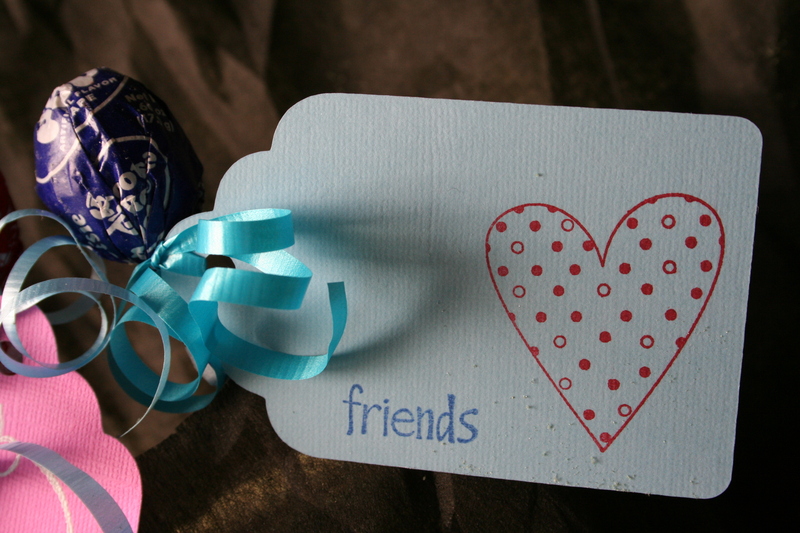 Then stamped random words to make the sentiment and embossed it. Once again I finished it off with ribbon, button and scalloped edge. Thanks for any feedback! Hopefully, I will be back soon if the internet stays working!